The shape and depth of most of New Zealand’s larger lakes is known because of surveys made by Jack Irwin and colleagues. 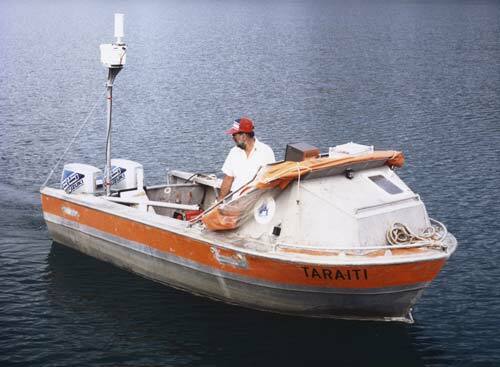 From 1967 to 1989 Irwin supervised a programme run by the New Zealand Oceanographic Institute, doing most of the fieldwork himself. Here he is surveying Lake Wakatipu on the Tara-iti. The boat is equipped with an echo sounder to measure depth, as well as radio location equipment. Download the document to read an extract in which Irwin describes the methods used for lake surveys in the late 1960s (85 KB).